A maturely treed nine-hole, par-36 course—just a minute’s drive from the town of Smoky Lake—the Smoky Lake Town & Country Golf Club is always a pleasure to play. The lovingly maintained greens are favoured by those seeking a small-town atmosphere, friendly service, quality cuisine and, of course, an enjoyable game. The course offers four sets of tees to accommodate different skill levels, and earned a prestigious rating of 9.5 out of 10 on Score Golf Canada’s website. In addition to offering some of the best greens in Alberta, Smoky Lake Town & Country Golf Club features 14 full-service RV sites, a driving range, putting green, clubhouse, commercial kitchen and a fully stocked pro shop. Popular events hosted here include the Spring and Fall Cash Scramble tournaments and the Victim Services Golf Tournament that takes place in July. Perhaps the favourite event at the course is the annual Pumpkinfest Tournament held on the first Sunday in September. It never fails to bring an enthusiastic crowd. 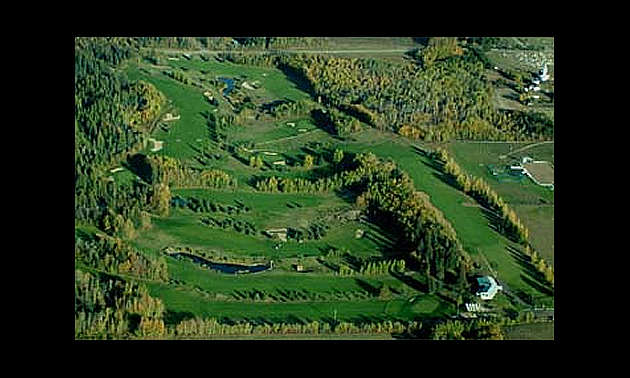 Where it's at Smoky Lake Golf Club is located one kilometre northwest of the junction of Highway 28 and secondary Highway 855 on Township Road 594 about one minute northwest of Smoky Lake, Alberta. Special features Practice putting green, pro shop, full-service RV park, driving range, 40 power carts, rental clubs, junior golf program, lessons are provided and weekly activities are available. Jim Fraser, CPGA and pro at the Smoky Lake Town & Country Golf Club, offers a few valuable tips.